Oklahoma has 137 publicly owned airports, including Will Rogers World Airport in Oklahoma City and Tulsa International Airport. Many commercial airlines fly into the Oklahoma City and Tulsa metro areas and offer non-stop flights to other major cities in the U.S.
For a list of all regional and local airports, please visit the Airport Directory. Seat belts are required in Oklahoma for the driver and front-seat passenger, and headlights are required by law to be turned on when it rains. Child restraints are required for children under 4 years of age weighing 60 pounds or less. The minimum driving age is 16. Persons under the age of 18 are required to wear a helmet when riding a motorcycle or motor scooter. Texting while driving is illegal in Oklahoma. Oklahoma has several toll roads. For information on Turnpike tolls + access, please visit Pikepass. For more information about traveling on Oklahoma’s highways, please visit the Oklahoma Department of Public Safety. – Operation of vehicles in intrastate commerce over 26,000 GVWR (manufacturer’s weight rating) or GCWR (truck and trailer) and don’t need an authority from the Corporation Commission, call 405.521.6738. This summary is not a complete text of the Oklahoma Labor Law, nor is it written in the exact language of the law. It is intended as an informal educational tool. Please visit the Department of Labor for more information. Oklahoma is a right-to-work state. This will give the filmmaker the flexibility to choose union, nonunion or mixed crew. 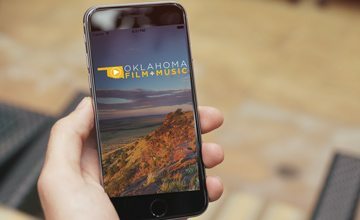 Film productions which employ children in the state of Oklahoma must abide by the Oklahoma Department of Labor’s rules and regulations regarding such employment. Child entertainment in the state of Oklahoma is regulated by the Fair Labor Standards Act. Every employer making payment of wages subject to withholding shall deduct and withhold from the wages paid to each employee a tax in an amount determined in accordance with the table of fixed graduated rates of tax to be withheld, unless otherwise provided. This tax is withheld as the wages are paid. For more information, contact the Oklahoma Tax Commission. Oklahoma employers and nonprofit organizations (other than those described in Section 501(c)(3) of the IRS Code) pay the unemployment tax if they employ one or more workers in each of the twenty different calendar weeks during a calendar year. Or if they have a payroll of $1,500 in a calendar quarter or are liable under the Federal Unemployment Tax Act. For details, contact the Oklahoma State Employment Security Commission. The standard insurance requirement for shooting in Oklahoma is a minimum of one million dollars comprehensive general liability insurance policy. For more detailed information, please contact the Oklahoma Insurance Department. In Oklahoma, as in most states, employers are required to provide workers’ compensation coverage for their employees. For more information, please visit the Oklahoma Workers’ Compensation Commission. Located just south of the geographic center of the United States, Oklahoma is equidistant from Los Angeles and New York City. Across its 77 counties, you’ll have access to 12 distinct eco-regions where you can experience everything from the trademark great plains and sweeping prairies to the unexpected lush forests, expansive plateaus and sand dunes. Dividing this inspiring landscape into 6 “countries” helps to showcase Oklahoma’s distinct persona, imagery and locations. Central Oklahoma, known as Frontier Country, is the transitional region of Oklahoma’s geography as it provides a bridge between the wooded sandstone hills to the east and the plains of the west. Wooded hill country gradually transitions to rolling short-grass prairie in the heart of Oklahoma and the blooming, ever-expanding Oklahoma City, the state’s largest metropolitan area. Route 66 cuts through the territory, showcasing vintage buildings and quaint town squares. Northeast Oklahoma, known as Green Country, is a sharp contrast to the western part of the state. Tumbling rivers, expansive lakes, tallgrass prairies and rolling green hills are the hallmarks of this lush region, rich in culture and verdant grandeur. Previously the heart of Indian Territory, the area is heavily influenced by Native American heritage. Rising from the prairie floor, Red Carpet Country, located in Northwest Oklahoma, is a land of impressive contrasts, majestic vistas and expansive high-plains grandeur. Once known as No Man’s Land, with its rugged beauty and diverse attractions, this region is a paradise for outdoor lovers of all stripes. Marked by dinosaur tracks, lined with red canyons and blanketed in prairie grass, this section of Oklahoma is distinctive for its wide open spaces. Sand dunes, a lava-topped mesa, a vast plain of salt, gypsum caves and boiling springs all contribute to the diversity of Northwest Oklahoma. South Central Oklahoma, known as Chickasaw Country, is a haven for water enthusiasts with the sparkling waters of many lakes and freshwater streams. The Arbuckle Mountains are capped by distinctive rows of protruding rocks and are adjacent to the clear mineral springs, waterfalls and lush forests of the Chickasaw National Recreation Area. Southeast Oklahoma, known as Kiamichi Country, boasts some of the Sooner State’s most magnificent scenery with its sparkling lakes, glorious mountains, cypress-lined bayous and charming towns. In autumn, these peaks take on vibrant shades of scarlet, pumpkin and gold; in spring, they are clad in colorful wildflowers. Forests of towering pines and hardwoods climbing into clear blue skies create unrivaled rural skylines. Picturesque streams and lakes are home to scenic shorelines and an abundance of beautiful sandy beaches while caves with tunnels, chambers and sandstone labyrinths can also be found. Southwest Oklahoma, known as Great Plains Country, is a vast region of rugged natural beauty where golden short-grass prairie, ancient granite mountains, Native American legends and dramatic sunsets weave an alluring travel tapestry. Agriculture plays a dominant role in Southwest Oklahoma, allowing fields of wheat and cotton to flourish next to cattle and horse ranches. Please find lists below of film industry resources. If you are looking for a resource that you do not see, please feel free to give us a call at 800.766.FILM. Moore-Norman Technology Center Digital Video Productionlink Receive hands-on training with digital video production equipment to learn all aspects of studio and field production, including directing, audio, lighting, graphics, videography, editing, color grading and sound editing. Class participation includes working on short films for the annual Moore-Norman Technology Center Red Carpet Film Festival. Oklahoma City Community College Digital Cinema Productionlink Enjoy hands-on filmmaking classes in the best-equipped filmmaking facility in the region, complete with a 6,000-square-foot sound stage and cutting-edge cameras, equipment and filmmakers. Oklahoma City Community College Film Institutelink Offered at Oklahoma City Community College, the Oklahoma Film Institute offers a series of seven three-day clinics (Thursday, Friday and Saturday) and one six-day clinic teaching Cinema Production, Directing, Art Direction, Cinematography, Lighting, Make Up, Editing and Writing. OCCC has a new 8-million-dollar Visual and Performing Arts Center, featuring state-of-the art filmmaking equipment and facilities that are the best in the state. Oklahoma State University Screen Studies Programlink The Oklahoma State University Screen Studies program incorporates film studies, television studies and studies in new media. Screen Studies offers courses at both the graduate and undergraduate level. Courses cover a wide array of moving image productions and contexts—both American and international, fiction and non-fiction, narrative and avant-garde—and focus on the history, theory and aesthetics of screen-based representations, as well as their cultural and political impact. Oklahoma Wesleyan University Digital Cinema Programlink The Digital Cinema degree equips students to compete and thrive in a media saturated world. Students develop their area of expertise while participating with other students in hands-on production labs, in the course of an internship experience and in a senior capstone project. Students emerge equipped to engage a marketplace where visual media plays a central role in nearly all communication. The Digital Cinema program at OKWU produces highly qualified graduates with the skills to succeed in the 21st Century Marketplace. University of Central Oklahoma College of Arts, Media and Designlink The University of Central Oklahoma’s (UCO) College of Arts, Media and Design is comprised of the Department of Art, Department of Design, School of Music, Department of Theatre Arts, Department of Dance and the Oklahoma Center for Arts Education. Now known as the College of Fine Arts and Design, the program strives to be a cultural resource for its students and the community. University of Oklahoma Film and Media Studies Programlink The Film and Media Studies at the University of Oklahoma is an interdisciplinary program in the College of Arts and Sciences that combines courses offered in the Department of English, the Gaylord College of Journalism and Mass Communication (JMC), Department of Modern Languages, Literatures and Linguistics (MLLL), the Department of Communications, the School of Art and the College of Education. The program is designed to give students a broad understanding of the role of film and media in modern society. University of Oklahoma Independent Film Projectlink The Independent Film Project at the University of Oklahoma is an instructional innovation of the School of Art seeking to bridge the gap between the university and the working world. It does this by using non-traditional and cross-disciplinary approaches and promotes interaction between students and professionals in the film and video areas through seminars, symposia, workshops, independent filmmaker series and special projects. The events are free and open to the public. University of Science and Arts of Oklahomalink The University of Science and Arts of Oklahoma (USAO), located in Chickasha, is the state’s public liberal arts college. Its mission is to provide the public with a distinctive and accessible liberal arts and sciences education. In combining an interdisciplinary core curriculum with superior instruction in major fields of study, USAO aims to provide a thorough education that prepares students for meaningful, purposeful lives. University of Tulsa Department of Film Studieslink The 33-hour major leading to a B.A. in Film Studies at the University of Tulsa provides liberal arts students with the history, theory and production techniques of film. The Department of Film Studies equips its majors with the technical expertise to enter professional employment as well as the knowledge and experience necessary to continue study in graduate school. University of Tulsa – Screenwriting and Filmmaking Campslink The Department of Film Studies at The University of Tulsa offers residential screenwriting and filmmaking camps for high school students. They will have the opportunity to immerse themselves in the art and craft of screenwriting and filmmaking for one exciting week each.